Northern Pulp Nova Scotia Corporation’s effluent treatment facility project is now registered with Nova Scotia’s Environment Department. 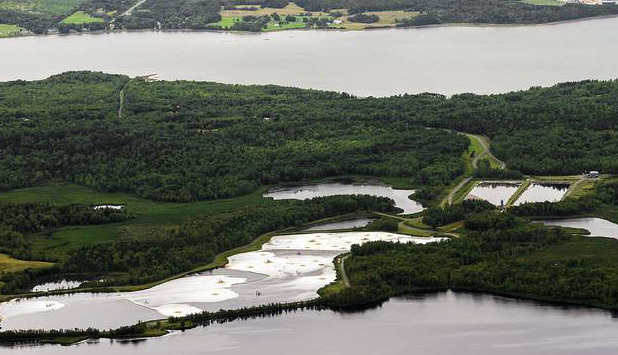 The proposal would see a new effluent treatment facility constructed on Northern Pulp property which includes a water pipe to deliver treated effluent to Caribou Harbour. Ultimately, the effluent discharge will be into the Northumberland Strait. Currently it is released into Boat Harbour and then flows out to the Northuberland Strait. Northern Pulp has asked that the province grant a year extension to the mandated closure of the current Boat Harbour Treatment Facility. Currently legislation requires it to close by January 2020.